Amidst hundreds of members in a thanksgiving number for God, the Locale of Magata offered their song on the stage of the ADD Convention Center in Apalit, Pampanga on March 9, 2013. With about 90 members, the Locale of Magata converged with the tens of thousand congregants at the ADD Convention Center in Apalit, Pampanga one regular Thanksgiving service. These members were prepared spiritually to offer their sacrifice of thanksgiving. With kids in tow, they marched on stage to sing their song of praise. These members can still vividly recall their Thanksgiving on March 9, 2013. A far-flung highland of Rizal province in the Philippines, the town of Magata is an area where transportation and electricity are not available. It is as if in this modern-day world, Magata failed to catch up. Some pointed to the area’s mountainous topography as one to blame why modernity didn’t yet reach Magata. As a result, locals subsist mostly in charcoal trade, raising goats and planting vegetables. 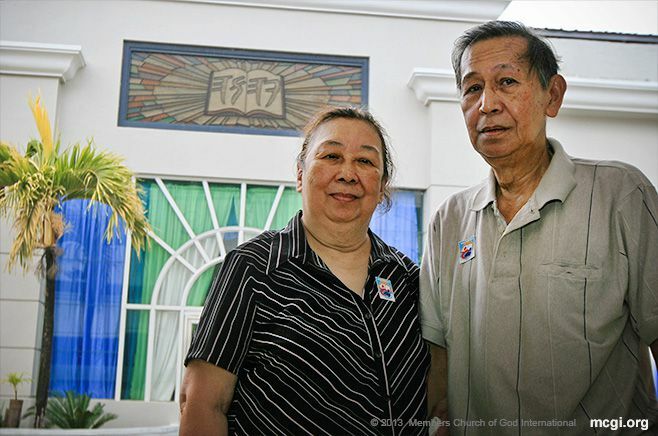 “If we want to make it to our thanksgiving on time, we must leave Magata at around 7 a.m. to 8 a.m. to get to Tanay between 10:30 a.m. and 11 a.m.,” explained Sis Juanita Resureccion, another pioneer member of the locale. It is from Tanay where they ride regular means of public transport that can take them to Pampanga. City folk can only imagine the inconvenience and discomfort Magata-dwellers bear just to travel to Tanay, let alone another province like Pampanga. One of the primary reasons why the locale members of Magata offered thanks was because of the installation of a water pump to boost their water supply. “We are also offering thanksgiving because of our preachers, who never forget to care and show their concern for us,” Bro. Nestor further added. Bro. Daniel Razon learned of Magata’s water problem during one of the Vice-Presiding Minister’s Visita Iglesia activities earlier this year. Bro. Daniel learned of this problem that affected locale members’ daily subsistence. In his willingness to always take advantage of opportunities to do good, Bro. 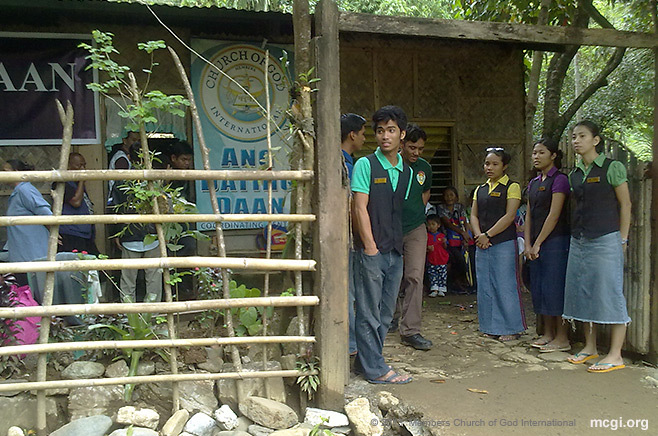 Daniel visited the location of the brethren in Magata and had a water pump with a hose installed. The Locale of Magata stands on the mountains of Rizal Province in the Philippines. Residents here subsist mostly in charcoal trade, raising goats and planting vegetables. “The location where we get water is really far. Most of the time we rely from our non-member neighbors who have water hoses. Unfortunately it seems our water supply is cut off during our Saturday Church service or when brethren come visit the locale,” revealed Sis. Juanita. “With God’s mercy, our prayers were heard and Bro. Daniel assisted us in getting the hose installed.” This kind gesture caused them to feel very blessed again as a locale. As a group who “seldom gets attention from the government,” said Sis. Juanita, they felt relieved with Bro. Daniel’s urgent response to their woes. But it wasn’t the first time they had been recipients of the compassionate acts of Bro. Eli Soriano and Bro. Daniel Razon. 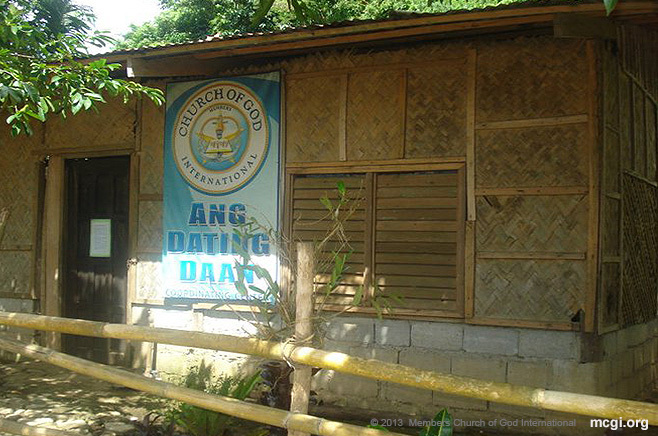 In the Munting Pangarap (Small Wish) project of the MCGI Leaders, one member’s wish was granted in 2001. “There’s the wife,” said Sis. Juanita, pointing to Sis. Maribel who was laughing on her chair. Asked what Bro. Datoy’s wish was, Sis. Maribel said her husband unblinkingly replied: “Bread. Just bread will do, Bro. Eli.” The modest request touched the hearts of Church members who witnessed the video recording of the gift-giving event played in a Thanksgiving service that year. When the wish was granted, the Dela Cruz family and all of the Magata brethren were surprised not to see baskets of bread, but a whole truckload. Sis. Maribel, recounted that her children didn’t ask for rice during meals that time, but bread instead. The bigger surprise however came together with the mountain of bread that were delivered to them — by the MCGI Leaders themselves. “It felt surreal,” expressed teary-eyed Bro. Nestor, as he recalled his reaction upon seeing Bro. Eli and Bro. Daniel in person. Youths lining up at the entrance to greet brethren and guests at the Locale of Magata in Rizal Province. The Church leaders also had a satellite dish installed so the brethren there can connect via satellite to Church services. Due to difficult transport facilities and fluctuating electric supply, all Church services in the locale are conducted on Saturdays. Apart however from the water pump and satellite dish, Bro. Eli and Bro. Daniel gave them a generator for use in Church gatherings as well as in indoctrination sessions. According to locale officers, all these helped resolve problems like poor attendance of members who mostly encounter problems making trips back and forth to the area. With all the daily struggles, not to mention the kind of discomfort they must endure, the Locale of Magata members are a hearty lot of people. Easily laughing at jokes, especially when they remember funny memories shared together as brothers and sisters in faith, they shed tears of joy for their overwhelming gratefulness despite their status in life. These people feel blessed and awed for having faithful leaders and a kind God. “We have several batches of newly baptized brothers and sisters, which is part of the other big reasons for our thanksgiving. Even if our leaders are physically distant from us, we can feel God’s love and provisions. He has never left us alone, through Bro.Eli and Bro.Daniel,” added Bro Nestor. Like the disposition of the members of the Locale of Magata, most congregants of Members of the Church of God International (MCGI) can list a measly piece of bread for a wish. They do not grumble, complain and curse when they suffer. Life’s struggles and troubles are part of the package to these Christians. They endure hardships yet they are zealous to offer songs of thanks and praises. It’s their way of life in Christ. While their means of hearing Bro. Eli Soriano were different at first, the Peralta couple was glad that they ended up joining the same Church that he leads. After staying in the U.S. for many years without a religion, it was in the Philippines where Bro. Aurelio and Sis. Felicitas Peralta finally found their peace of mind after hearing God’s word through the preaching of Bro. Eli Soriano and Bro. Daniel Razon. At first, the ways that became instrumental for the couple to know the truth were different: one through television, the other through radio. In the end, the old couple shared a new beginning together, the day they were baptized unto the Church of God in the Bible. Sis. Felicitas recalled how her nephew learned that she was already watching Bro. Eli’s Ang Dating Daan or The Old Path program on television. It was that day when her nephew who visited her in their house in Marikina that Sis. Felicitas was discovered watching the religious show. “‘I didn’t know that Auntie listened to The Old Path?’ he said,” she recounted. “Do you know him?” was the quick question Sis. Felicitas asked him. “I’m [a member] there, Auntie,” replied her nephew. Right then and there Sis Felicitas asked her nephew to take her to the nearest MCGI chapter. She recounted that her nephew sought from a Church member through a phone call for the address of the locale nearest their place. Incidentally, it was the same location where the couple would undergo their indoctrination sessions. In Bro. Aurelio’s case, it was his brother-in-law that helped him find his brethren in faith. “One time when there was a blackout, my brother-in-law bought an emergency light. He bought me a small radio too,” Bro. Aurelio began narrating the first time he learned that a very unconventional preacher like Bro. Eli exists. The couple arrived from Seattle, Washington to the Philippines on September of year 2012. Being away from loved ones in the Philippines for over a decade, Bro. Aurelio and Sis. Felicitas had many things to attend to even weeks after they landed on their home country. The Peralta couple was baptized on March 22, 2013 at the ADD Convention Center in Apalit, Pampanga.